We apprentices have continued our wanderings, but we always remember with fondness the friends and benefactors from Venezia, Rocca Sorrentina and the Royal Courts. Greetings to all for a Happy Christmas and a prosperous New Year from all the apprentices and young people of Sorrento and the Bay of Naples. Prospero has never ceased to amaze me. 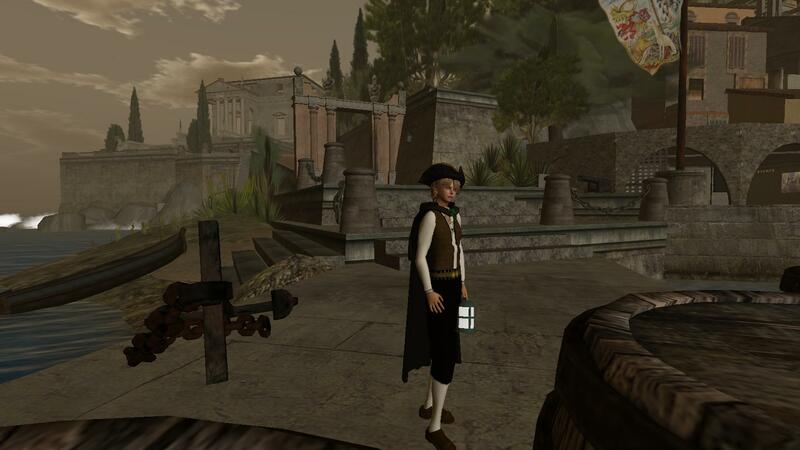 Unlike most apprentices in Rocca Sorrentina, Prospero is not only able in learning his trade as a baker, he seems to be able to converse with all manner of people. 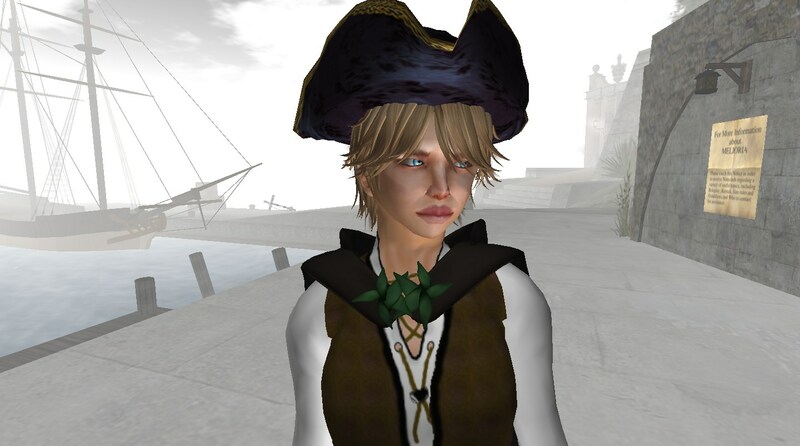 He can keep up with Professor Aldo and holds his own when discussing literature and politics; he can help sailors and merchants find what they are looking for when they come into town; he participates in works of assistance and charity with the members of the Confraternity of Mercy. At the same time, Prospero is one of the most lively youths in our circle. 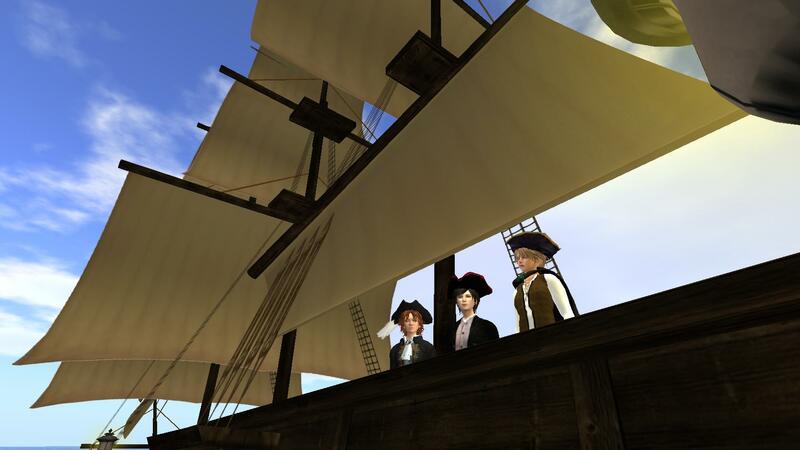 Why then was I surprised when he got us to Smugglers Cove and safely aboard a ship departing for the mainland? 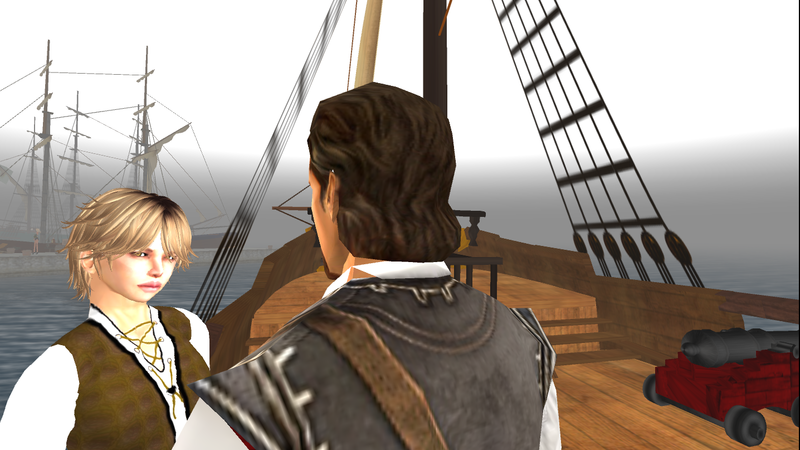 "Leave everything to me," he said to Rico and me just before we boarded the ship. In fact, we could see that the ship's captain and sailors all knew Prospero, and he moved among them with great confidence. 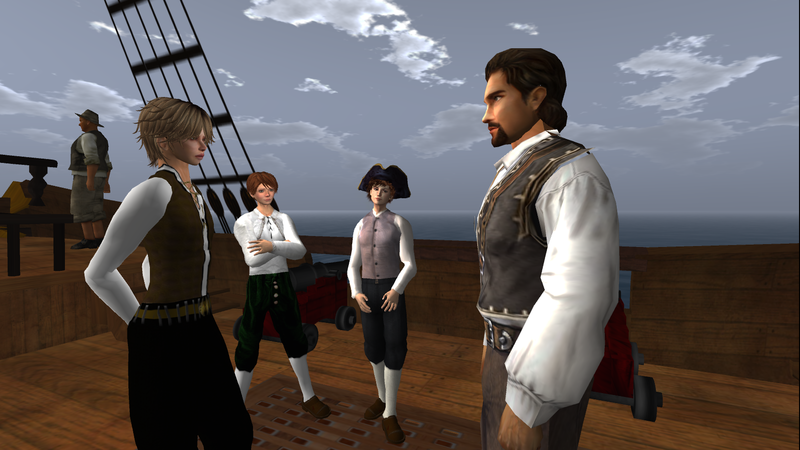 He was quickly back with us, telling us just what we had to do to pull our weight and help the sailors weigh anchor and launch into the deep. There were so many sailing words that I only half understood. It did not matter. Rico and I just did everything that Prospero told us to do. 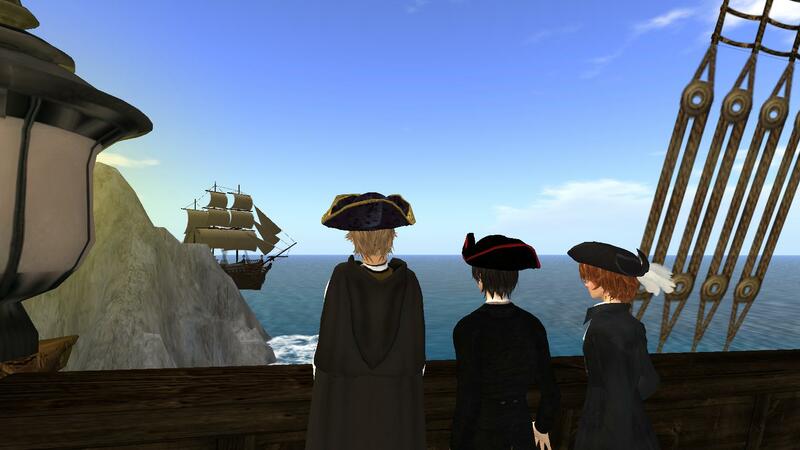 Soon we were sailing away from Pirates Cove and Rocca Sorrentina. The sun rose gloriously over the sea, and we enjoyed the bright colors of the morning sky as it bounced on the waters. No sooner had we left the sight of land behind us than we sighted the land of the Italian coastline. We rounded the peninsula of Sorrento, keeping wide of the island of Capri, then traversed the Bay of Naples before turning just south of the islands of Ischia and Procida. We came close to the island of Nesida where we had heard that many who were sick with leprosy were brought to live out their days. This is when Prospero told us to put on our cloaks again. As soon as we did, we realized that the ship was bringing us within sight of the capital city of the Kingdom: Naples. One can imagine that we were becoming excited. 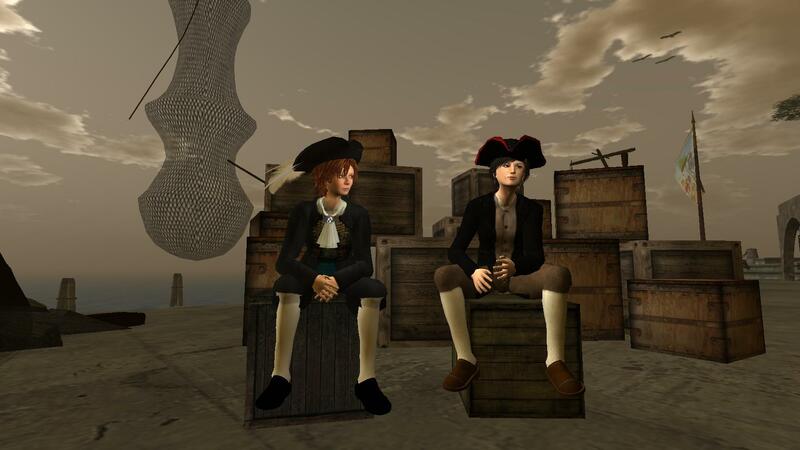 I shared with Rico and Prospero what Professor Aldo had told me: that Naples is the greatest port in the Mediterranean and the second largest city of Europe. We saw many other ships moving ahead of and beside us on the way into the port. Add to this the sound of the sea birds, the strength of the morning sea breeze and our quick progress across the waves, and our excitement quickly mounted. How wonderful! I could not believe how I had suddenly become so anxious to set foot in Naples. Rico was asking a hundred questions, and Prospero was answering them, but I could not speak. My heart was in my throat as we rushed toward land. Tossed by the seas and buffeted by the winds, the wandering apprentices of Rocca Sorrentina remember so many people with gratitude at Christmas time: the villagers, visitors and friends of the Rocca, as well as the nobles, courtiers, diplomats, pirates, soldiers and servants of all the courts and principalities, past and present, in the Royal Courts of Second Life. May the Star of the Sea -- Maris Stella -- lead all to safe harbor and into the arms of the Beauty whose birth we sing. Venite, adoremus! To all the villagers from Melioria, and to all who have visited the Island and Port of Meliora, a joyous and blessed Christmas. 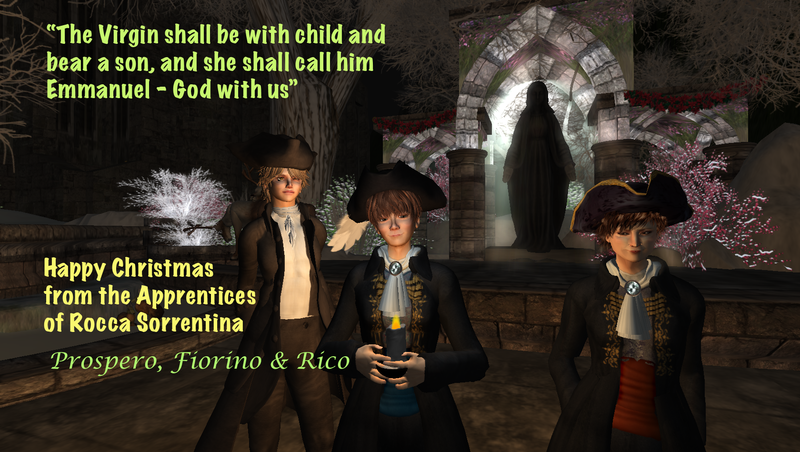 The three apprentices and friends, Prospero, Fiorino and Rico, pause on their journey in front of the Nativity scene set up by the Signora Sere Timeless. 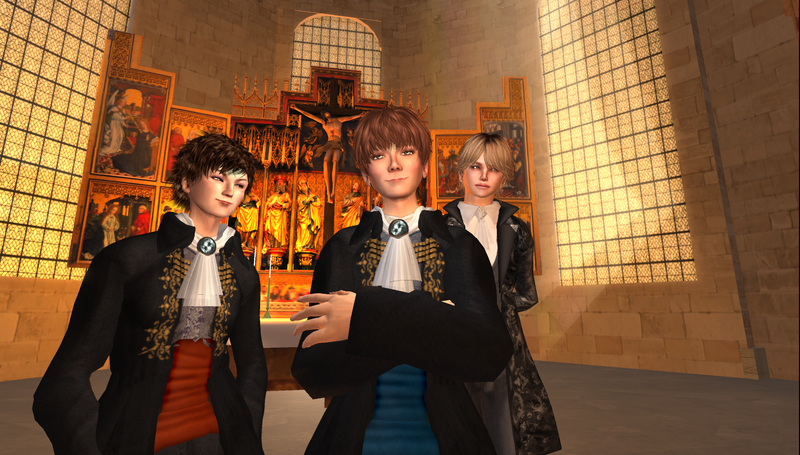 The boysgreet all the members of the Royal Courts of Second Life, wishing good health and happiness to one and all. Our trip out of the Island of Melioria to the Italian peninsula took much longer than we expected. Only now that the journey is behind us can I sit down and continue my log. When last I wrote I told how Rico and I had waited in the dark before sunrise. 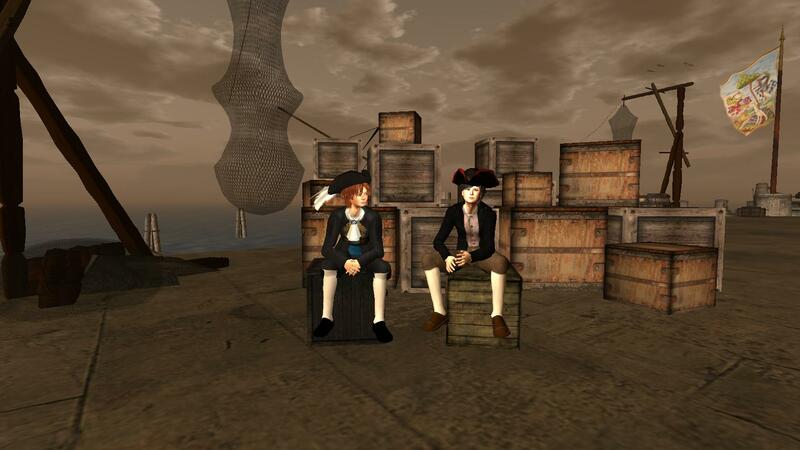 Finally, after what seemed like a very long time we could hear footsteps, Rico and I, from our hiding place among the barrels and crates of the uncollected cargo at Port Melioria. We both held our breaths. The morning fog was so thick that we could barely see a figure approaching, but we could hear that his stride was vigorous and determined. 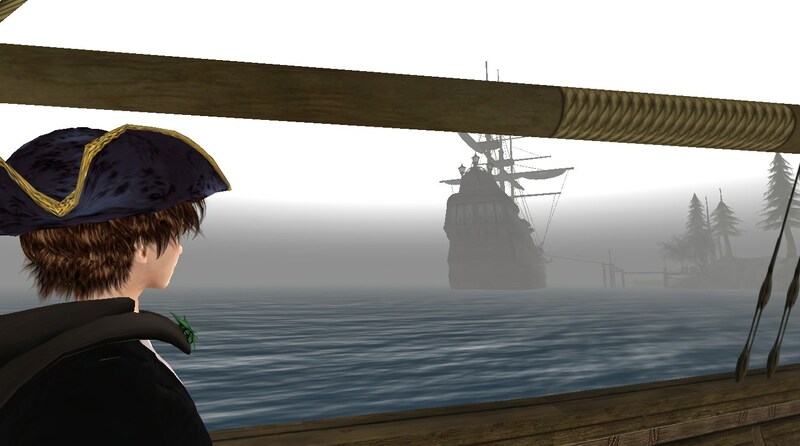 Do you think that the captain of the Aurelia is coming? Rico whispered. I did not answer, but I could see that Rico was listening as intently as I. Then he shook his head. No. That is no sea captain. Only one person walks in that half-march, half-scuff way. With that, Rico stood clear of the crates, and I joined him. He waved his arms, and the marching scuffer saw us, and moved our way. Ciao, Prospero! Rico said softly. Ciao, Rico. Ciao Fiorino, our friend Prospero Pastorelli greeted us in reply. Good to see you! All of Melioria is still asleep. If we leave now, no one will even know we are gone. Prospero was not smiling. He looked from side to side and over his shoulder, as if to make sure we were still alone. The sun will break soon, he said with some urgency. We must hurry. There is a boat here. Quick, well row out of port. There is a ship ready to leave for Naples. We did not need a second invitation. 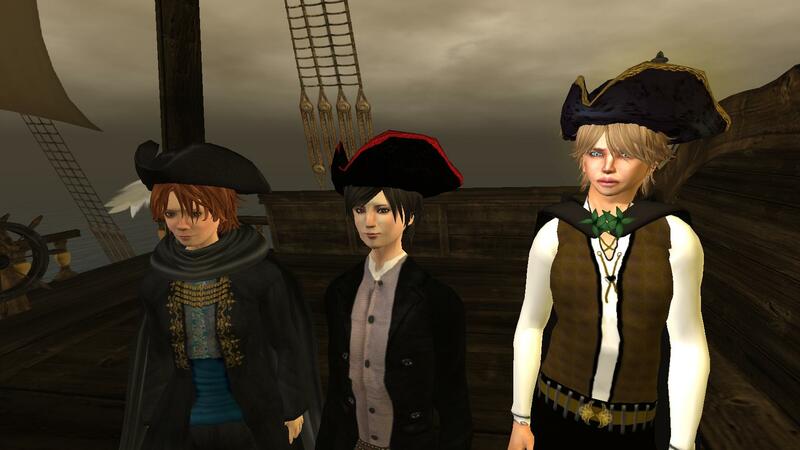 We picked up our packs and followed Prospero on to the dock. Sure enough, there was a small fishing boat moored there. 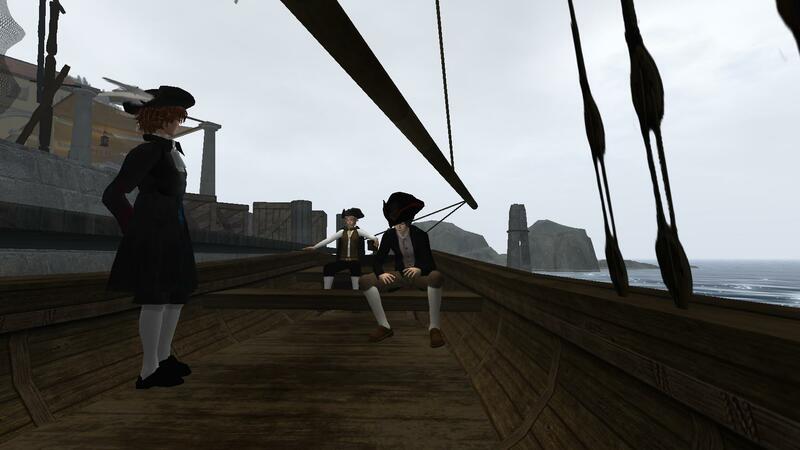 With a some effort, Rico and I rowed the boat while Prospero controlled the rudder. I could paddle a gondola in the canals of Venezia with little problem, but rowing this little boat out of the port seemed to be more difficult. 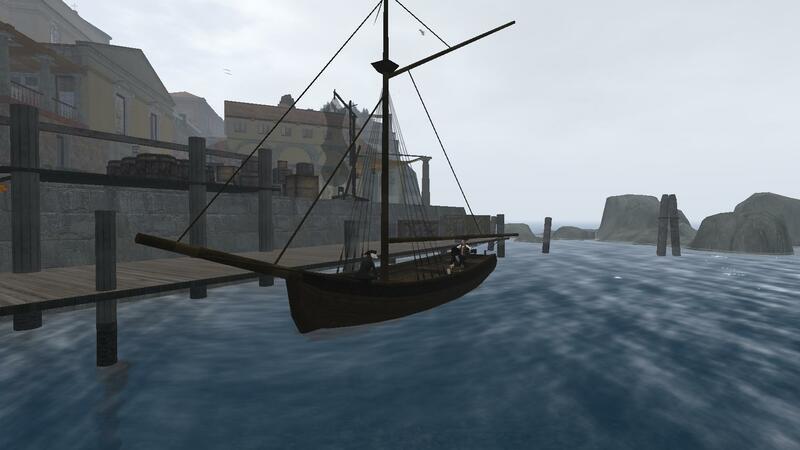 Little by little we managed to control the boat against the rippling waters of the seaport, and finally brought it around the port, along the coast and into a small bay. Maybe it was because of the heavy fog, or maybe because I had never explored this side of Melioria, but I could not recognize this place. There were steep cliffs at waters edge and no beach whatsoever. I glanced over at Rico, who seemed to bite his lip as he looked around at the surroundings. Prospero, he asked, where are you taking us? They call this La Cala del Contrabbaniere*, Prospero answered in a whisper, and if you look carefully, youll see that there is our ship. Is that a ship of smugglers? Whose ship is it, Prospero? I asked. No doubt my voice betrayed my alarm. 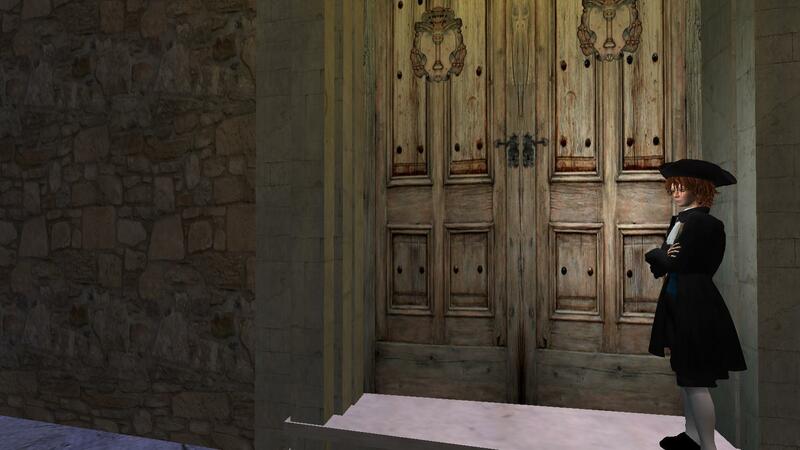 Our friend Prospero shushed me: Dont talk loud! When we get to the ship, the men will lower a rope and well climb on board. Be very polite, and let me do the talking. 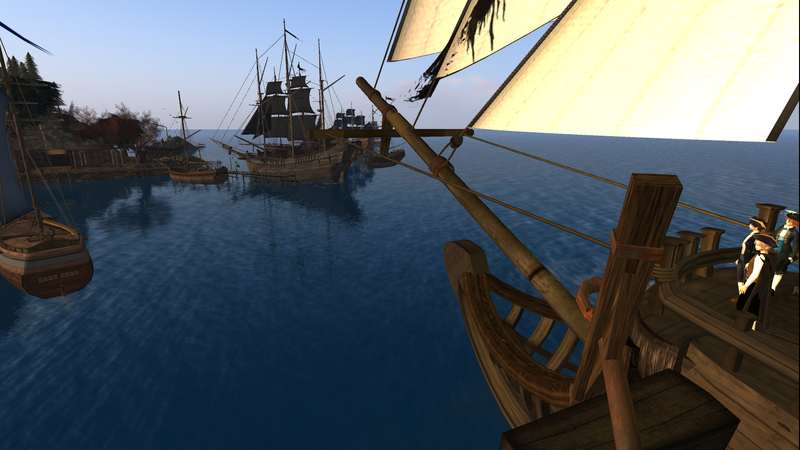 Before I could take ten breaths, we were at the ship and climbing the rope ladder. 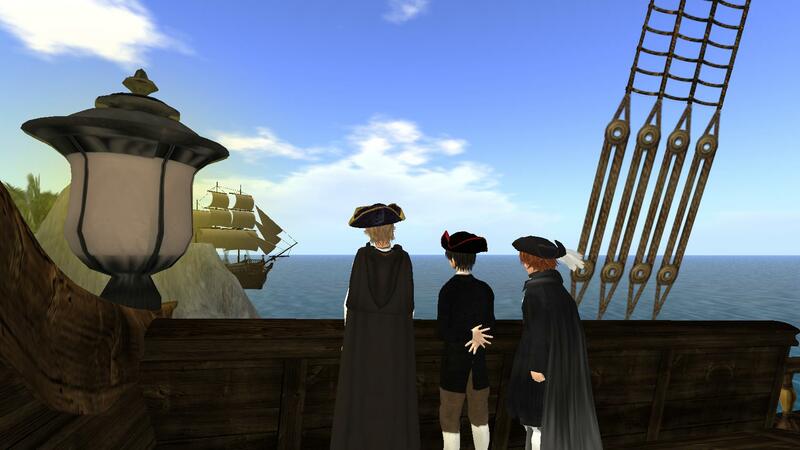 As soon as we were on deck, two sailors spoke with Prospero, but Rico and I stepped back, out of earshot. 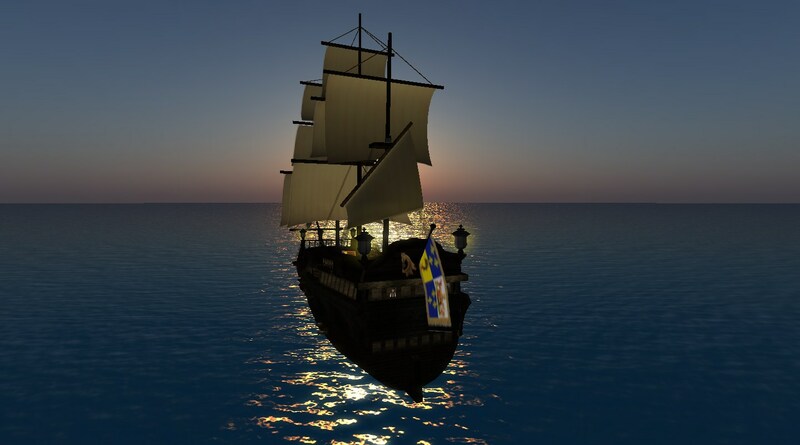 The sailors weighed anchor and we were moving moving out of the cove and out to sea toward the rising sun. It was still dark: dark, foggy, cold. The village was still asleep and the port was quiet. All I could hear were the waves slapping against the shore as I made my way to the port. 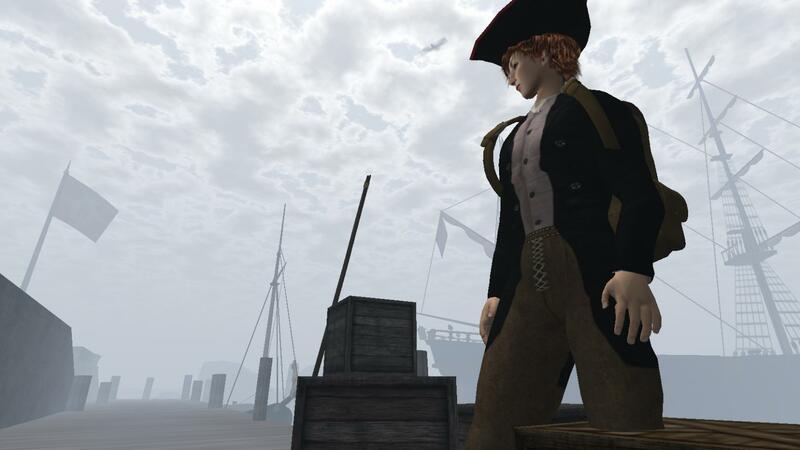 After surveying the horizon, I was satisfied that the Captain of the Aurelia was not near at the port. There was no sign of his crew either. It was still very early. Crates and barrels from yesterdays cargo were still on the port. This was very sad. Since the princes departure, no one seemed to take work very seriously. How could the dock workers leave cargo unguarded? Do they not care about thieves? Luckily the villagers are honest, but what of the many visitors that have flooded Melioria lately? Useless questions! My friends and I were about to leave! 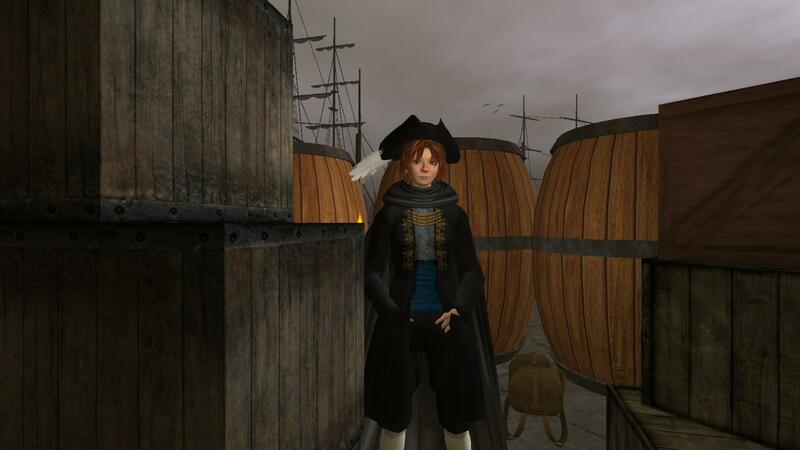 I had other things to worry about, and the laziness of the dockworkers gave me a place to hide among the tall piles of wooden boxes and chests. The morning fog magnified every sound, and I set up a place where I could easily see the port but where I could also jump for cover in case any strangers came looking for me. 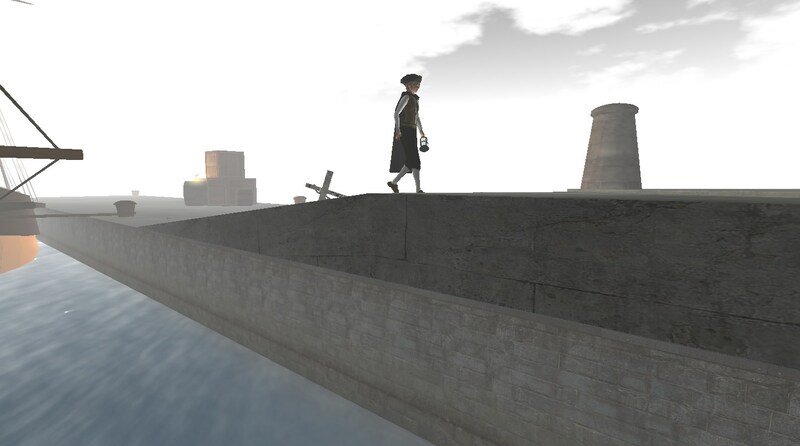 Before long, I spied a small figure gingerly making its way from the stables to the port. It was Rico, who managed to approach without making a sound, so light was he on his feet. As soon as he was within earshot, I signaled to him. Ciao, Fiorino, he greeted me, and put his sack down by his feet. Are you all ready to leave? Yes, Rico: as ready as I can be, and very anxious. And where is our dear Prospero? he asked, looking around. It looks like we have beat him. Thats good, then. We can chat a bit before we depart. Two empty crates were on their side, near the others. I moved them so that we could both sit and wait for our friend. This is just like when we first came to Melioria, Rico remarked softly, only in reverse. How long do you think it will take us to get home? Do you think it will be very different? It is hard to say, I responded. The trip from Venezia took days, but I cannot remember how many. I was too sad then. Yes, Rico said. I remember how sad you were, even though you tried to hide it. You kept trying to keep all the orphans and apprentices happy, but your eyes had stopped laughing. Then when we worked in the fields for the Prince, you began to laugh again, but that did not last long. Rico looked down at the dock. I hope you do not mind that I say this. No, I do not mind, my dear Rico. It is very true. Every time I thought I could hope, we had a misfortune, the last of which is the disappearance of the Prince. Rico nodded. Yes, and dont forget the Signora Cece! She went with the Prince on his voyage. Who knows what has become of her. It was true. All the worry for the prince, and we have forgotten the creative Signora Cece, who cooked and managed the villa, who organized fireworks on the feast days, and kept the best table on the island. Even her impatience and constant reprimands seemed like happy memories now. 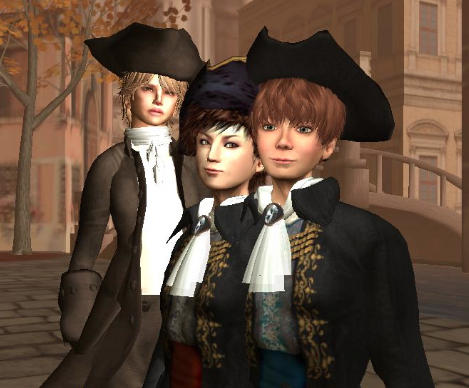 Maybe when we set sail we will find our Principe Capo and the Signora Cece, Rico said earnestly. Maybe they are on an island we will visit on the way back home. Ricos voice sounded so hopeful, and I did not want to contradict him, impossible as it seemed to ever find the Prince. I just smiled and nodded. Yes, Rico carissimo, maybe we will be the ones to find them. Just then we heard footsteps. Someone was approaching.